Apple CEO Tim Cook announced that the company had its best quarter in education ever, generating over $1 billion in revenue on sales of iOS and Mac products, including iPads, which took a staggering 94 percent tablet marketshare in schools. The statistics, revealed during Apple's quarterly conference call for the company's last fiscal quarter of 2013, showed Apple as strengthening its position in the advancing education market, where Windows-based PCs have long been a dominant presence. For the quarter ending in September, overall educational sales were up 8 percent year-over-year, with iPad showing 22 percent growth over the same period. Mac sales also jumped 8 percent compared to the same time in 2012. Highlighting the positive performance, Cook pointed out that research firm IDC estimated PC sales were down 10 percent in aggregate over 2013, with educational PC sales likely worse. 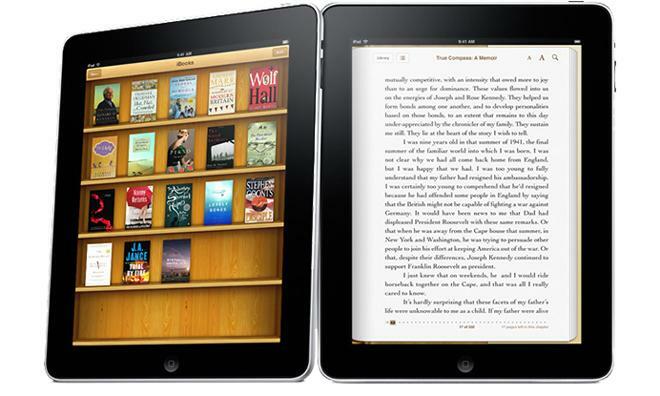 Apple has been aggressive with its iPad in education initiative, rolling out iTunes accounts for pre-teens ahead of the school year in August, thus allowing students to purchase textbooks and other educational material from iTunes and the iBookstore. Helping along the company's education program is a trend toward tablets in the classroom. The devices are being used by a number of school districts around the U.S. as a tool for learning, with teachers able to create, distribute and curate curricula via iBooks Author and other iOS device management software. One school system in the Netherlands has replaced traditional textbooks with the iPad, along with other Apple ecosystem products. It was reported only one year ago that the iPad was definitively replacing PC sales for educational institutions. The company has made significant progress since then. When asked about low-cost offerings from competitors like Google's Chromebook, Cook seemed to dismiss the idea that those devices were a threat to Apple's push in education. "We see Chromebooks in some places," he said, "but the vast majority of people are buying PC/Mac or an iPad." Apple's chief executive seemed quite pleased with the iPad's performance over the past three months, noting it accounted for 94 percent of tablets in education. "It's sort of unheard of," Cook said. "I've never seen a market share that high before. So we feel like we're doing really well here, and feel great to be making a contribution to education."